Place the apples and spinach through your juicer. You can also use a blender. 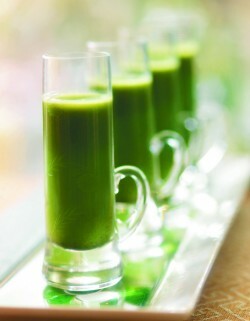 Consume 1 cup of unstrained juice every four hours for maximum benefit. Juice may be strained if you prefer.